Winner of the Sydney International Piano Competition's Best Australian Pianist Prize, Shan Deng has been Lecturer in piano and co-ordinator of keyboard at the University of Tasmania since 2001. 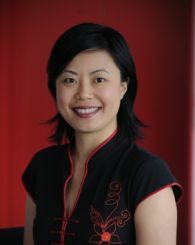 She is a Churchill and Fulbright fellow and winner of the Australian Big Ben Award for outstanding Chinese Youth. Shan has performed in Australia, Asia, the USA, South Africa and Europe. She has toured overseas as a soloist with the Queensland Philharmonic Orchestra, and has appeared with most of the Australian Symphony Orchestras. Shan has been featured in numerous Australian, Chinese and South African radio and television programs. Shan's early music studies were undertaken in the gifted children's program at the Central Conservatory of Music in Beijing. She obtained her Bachelor of Music at Queensland Conservatorium, Griffith University with first class honours and a university medal. Shan has also received Fulbright and Churchill fellowships to perform and study in the USA and South Africa. Her successes include winning the keyboard final of the ABC Young Performer of the year award, and representing the Arts as a national finalist in the Young Australian of the Year competition. In 2014, Shan was awarded the Australian Council for the Arts International Pathway grant and travelled to China for a concert tour, her programme included the world premier of a newly commissioned solo piece 'Choro' by Maria Grenfell. She is in demand around the world as a concert artist, teacher and adjudicator. She was invited to be part of the adjudicating panel of the Second Australian International Chopin Competition. In 2015, Shan will be perform and give masterclasses in Hobart and Brisbane of Australia, and at China Conservatory of Music in Beijing. Shan has also been invited to adjudicate the prestigious national Young Performers Award in the same year. Co-ordinator of classical piano since 2001. Classical piano, chamber music, aural. Shan's research aligns to the University's research theme of Creativity, Culture and Society. She has been working since 2008 to commission and perform Chinese folk inspired new Australian music nationally in Australia and internationally in China. Shan has been working with her father Dr. Wei Deng and composer Dr. Maria Grenfell on the project titled, 'Stylistic development and performance practice from unpublished Chinese folk songs to new Australian compositions'. Duo Deng released a CD on the Master Performers label in 2013 titled, 'Conversations'. They were awarded an International Pathway grant from the Australian Council for the Arts in 2014 which they used to travel to China for a concert tour. In 2016 Shan Deng received a Arts Tasmania Artist development grant (Music) of $8 782 towards a residency at the Banff Centre. In 2014, Shan was awarded the Australian Council for the Arts International Pathway grant and travelled to China for a concert tour. Her programme included the world premier of a newly commissioned solo piece 'Choro' by Maria Grenfell. She was also invited to be part of the adjudicating panel of the Second Australian International Chopin Competition that year. In 2015, Shan performed and give masterclasses in Hobart and Brisbane of Australia, and at China Conservatory of Music in Beijing. Shan also adjudicated the prestigious national Young Performers Award in the same year. The project consists of an immersion in Tango music during a residency in Argentina and a series of performances at tango festivals in Australia, which will allow comparison and synthesis of two traditions of folk style improvisation, Chinese and Argentinian.